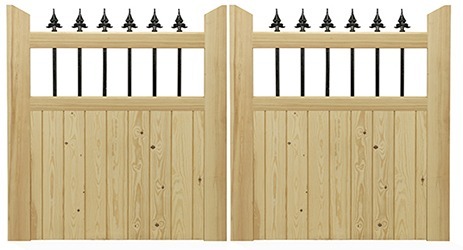 The Hemington is a stylish wooden entrance gate from Charltons which incorporates ironmongery, it has black finished steel finials running through the top bar for added strength making this gate ideal for any property. 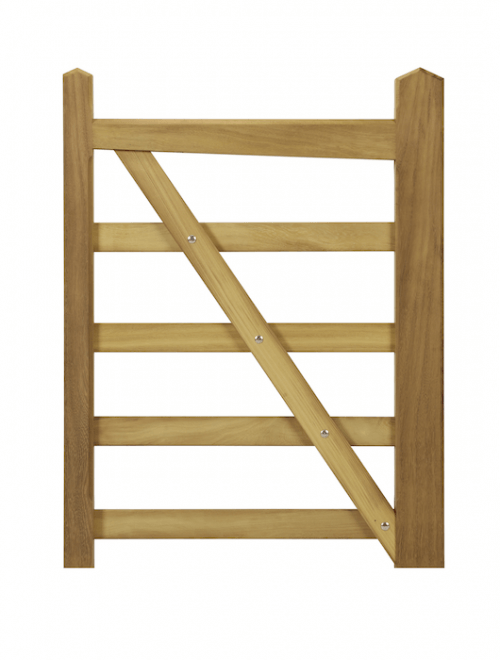 The Hemington is assembled using traditional mortice and tenon joints to provide maximum strength. It also features chamfering across both top and mid rails allowing rain to run off. 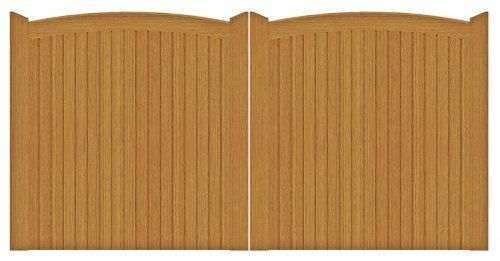 This adaptable gate can be used as a pair of attractive entrance gates, or as a striking garden gate. 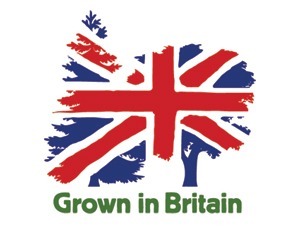 The Hemington is made to order in either kiln dried lroko which is an African hardwood renowned for its durability and stability or available in selected slow grown Scandinavian kiln dried softwood which is supplied ready for treatment. 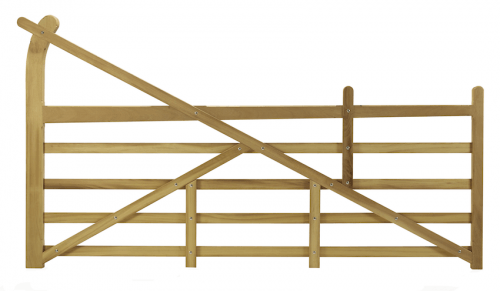 Available from 3ft (0.915m) to 6ft (1.83m) wide, with a maximum height of 6ft (1.83m). 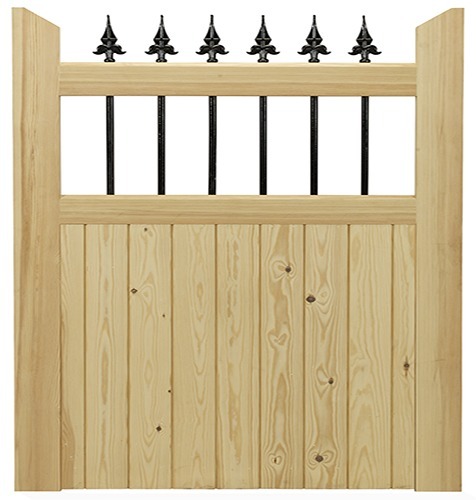 Now available with a choice of four stile tops (supplied with Weathered stile tops as standard).